Rutgers now has a three-game lead in the win column on last place in the league with six conference games to go as it looks to avoid the Big Ten cellar for the first time. The Scarlet Knights also now have a virtual 1.5-game lead on Indiana for 10th place in the standings - the top 10 teams do not play in the first round of the conference tournament. 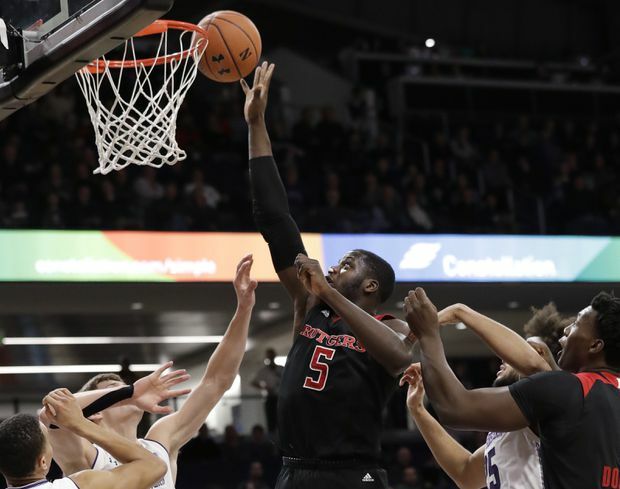 But Northwestern kept hanging around - Rutgers helped by going eight-of-15 from the free throw line - and pulled to within 57-56 with 18.2 seconds left on a 3-pointer by Vic Law. Rutgers was then hit for a five-second call attempting to inbounds the ball, giving the Wildcats a free possession to play for the win. Mathis grabbed six boards and guard Caleb McConnell gutted out five points and six rebounds in 22 minutes off the bench despite illness. That changed, though, when Doorson scored on an alley-oop dunk and Omoruyi drilled a 3-pointer in a span of 45 seconds to cap a 10-1 run and give Rutgers a 49-41 lead with 6:13 to go.